As the global economy and supply chain continues to become increasingly intertwined disruptions can spread rapidly around the world. How can these events be predicted to limit adverse impact to companies? International trade continues to grow exponentially and is becoming increasingly interconnected. With this, comes unprecedented risks and potential economic costs that can spread rapidly within the global supply chain and impact companies around the world. Natural disasters account for much of this uncertainty with 75% of Asian exporters being designated high risk . For instance, this was evident in 2014 when the top four natural disasters during the year resulted in over $32.8 billion in damages to businesses globally . Real time supply chain visibility and adapting to events before they happen is critical to any business looking to be successful in today’s economy. Having worked in a logistics team at one of the world’s largest companies, I am aware of the growing importance of having insight and control over a global supply chain. This is critical to both control costs and to ensure customer promise is met. C.H. Robinson, one of the world’s leading providers of freight transportation and logistics, has seen this as an opportunity to provide their 45,000 customers with unprecedented insights leveraging machine learning, predictive analytics and artificial intelligence  . C.H. Robinson has invested significant resources in developing its answer to these growing challenges – Navisphere Vision. This product is able to provide visibility into transportation methods across the world by using APIs to aggregate data. Moreover, through the use of machine learning, AI and predictive data analytics, customers are able to gain insights into changes in the supply chain and make necessary modifications quickly . The ability to do this not only minimizes costs to the organization but also helps mitigate the spread of disruption throughout the global supply chain. Navisphere Vision provides insights to customers on a SKU level in real-time. Moreover, it gives logistics teams visibility into potential disruptions that may impact their global supply chain. For instance, C.H. Robinson’s tool can provide data and insights into weather, traffic and current events. More importantly, using machine learning and predictive analytics, it helps customers make more optimal decisions in real-time . Data is analyzed by Navisphere Vision and modifications can be automatically made to mitigate potential adverse impacts . This allows companies to limit disruptions and effectively manage risks in the supply chain that they previously could not . In 2016, C.H. Robinson partnered with Microsoft for the alpha release of the product. Microsoft is known for being innovative in their fulfillment and logistics practices and Navisphere Vision is providing significant value to the computing giant . Navisphere Vision helps the global logistics teams visualize data and real-time events in their supply chain. Moreover, the tool assists the team in making critical decisions with greater precision and agility. The Microsoft team noted that with the aid of Navisphere Vision, they have been able to create greater predictability throughout their supply chain and be less reactive to unexpected events. This has been extremely important to the company as it allows them to deliver more products to customers on time . Looking forward, an opportunity C.H. Robinson may want to capitalize on is to provide insights on how companies can optimize their supply chain in the long term. For instance, a clothing retailer in the US may currently work with manufacturers in China. It would provide a lot of value to the retailer if they could receive predictions on the future risks (environmental, political, labor market etc.) and estimated costs associated by continuing this partnership. This would be further enhanced by using machine learning to determine more optimal supply chain management. 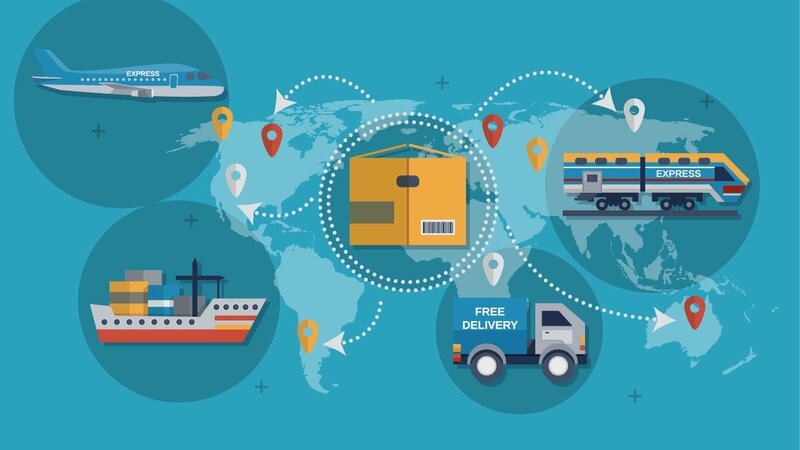 For example, the retailer would benefit from Navisphere Vision predicting optimal countries to manufacture goods in as well as the timing and mode of transport to ship them globally. Building this functionality would leverage C.H. Robinson’s machine learning and AI capabilities and allow their customers around the world the ability to further optimize their supply chain. The global economy and supply chain continues to become increasingly intertwined. As a result, disruptions can be much more pervasive and can impact companies around the world. With this comes greater need for risk management and a better ability to predict future events. What risks pose the greatest threat to individual companies and the economy? Moreover, what uncertainties will machine learning and AI provide the most value in predicting and what biases are most likely to impact these predictions? “See Navisphere Vision in Action.” C.H. Robinson, www.chrobinson.com/en-us/navispherevision/. 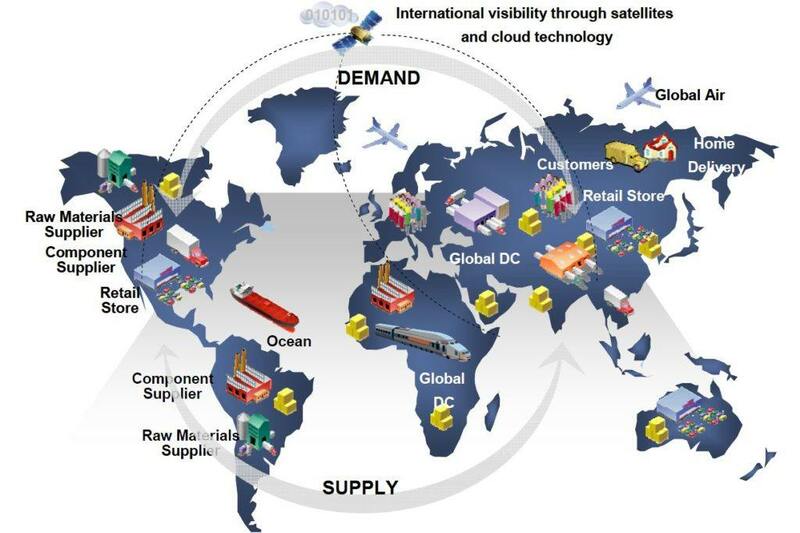 “Global Newsroom – Navisphere® Vision Revolutionizes Global Supply Chain Management.” C.H. Robinson, 12 Sept. 2017, www.chrobinson.com/en-US/newsroom/Press-Releases/2017/9-12-17_Navisphere-Vision-Introduction/. Henderson, James. “CH Robinson Machine Learning Software Could Protect Companies’ Supply Chains from Disasters.” SCM | Supply Chain Digital, James Henderson, 21 Sept. 2017, www.supplychaindigital.com/scm/ch-robinson-machine-learning-software-could-protect-companies-supply-chains-disasters. 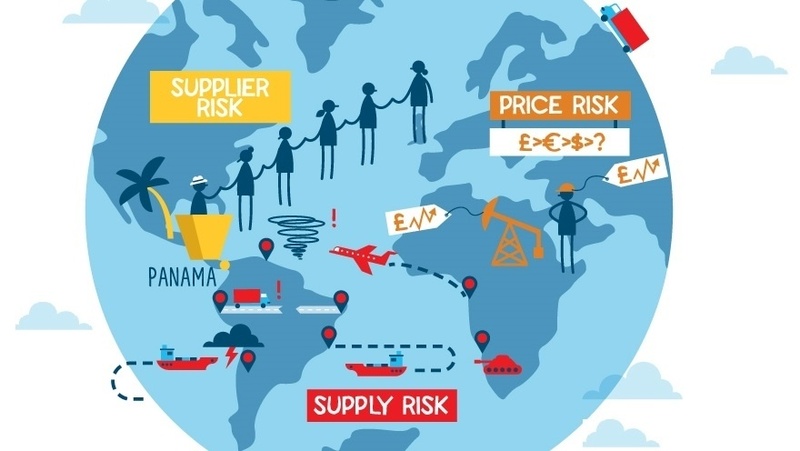 “Managing Risk in Global Supply Chains.” Barclays, www.barclayscorporate.com/insight-and-research/managing-your-business/supplier-finance-looking-at-the-bigger-picture.html. University of Manitoba – Student Affairs – Admissions – Application to Environmental Design, umanitoba.ca/faculties/management/academic_depts_centres/dept/supplychain/what-is-supply-chain-management.html. I am curious whether you think that machine learning might provide a competitive advantage for C.H. Robinson. Naturally, I wonder whether other freight transportation and logistics businesses have also implemented machine learning and to what extent. Is C.H. Robinson a first mover in this industry with respect to applying machine learning to better predict shipments. Instead of risks, I think that there are opportunities in this industry for a business that is better at the prediction game given the continued growth of online shopping and the associated returns. 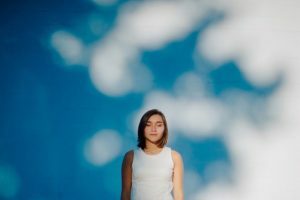 I think that you might also enjoy reading the article by Hermione Granger – “Returns – Climbing out of the e-commerce landfill”. Very interesting post. Considering the how significant are the global loses incurred by companies when unable to anticipate and manage disruptions in their supply chains, the use of machine learning to try interpret demand patterns seems a creative solution to improve efficiency of the whole system. Given natural disasters and environmental events account for a large share of the disruption causes, maybe using machine learning to anticipate these natural events would position supply chain managers one step ahead. However, that might require analyzing a complete different set of databases and raises the question of whether supply chain managers should be really engaging in weather forecasting? Then why not modelling the entire global economy to anticipate its up and downs and their impacts in your supply chain. As any optimization exercise, precisely defining the scope of the problem machine learning is trying to solve is key for its own success. 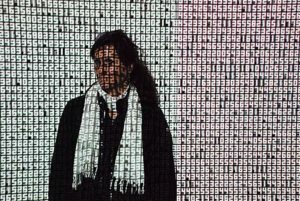 Great post – I can only imagine HOW MUCH data C.H. Robinson has collected in order to be able to run algorithms that try to provide insights across the entire world. I was curious to learn that supply chain companies are tackling problems with ML. The supply chain industry is an immediate use case where blockchain can unlock huge benefits. The reason for that is because blockchain essentially forces different parts of the supply chain to interact with each other digitally than with exchanges of paper. More data on the supply chain can be collected if more of the data is being processed digitally. I’m curious to learn more what can be unlocked by combining blockchain technology with ML.